The mother later testified that in a second meeting with Bishop Stöckler, he told her he had met with Pardo on 8/19/2002 and that Pardo admitted to the assault. Pardo was repentant, he told her, and the case would be handled according to canon law. According to Varela, Stöckler advised her to have mercy because celibates have "moments of weakness." The bishop gave Pardo a reprimand, urging him to leave the diocese and refrain from saying Mass and heading confessions for one month. In a 2004 “open letter,” he said he also immediately reported Pardo to the Holy See, which ordered a church trial to begin in the ecclesiastical tribunal in Buenos Aires. The bishop did not order Pardo to stay away from minors and he did not report him to civil authorities. The bishop paid for therapy for Varela and her son for four months. Varela later testified that the bishop terminated the payments when he learned that Varela had consulted an attorney. The bishop denied this; he said that it was Varela who decided to stop accepting the payments. In late 2002, Varela learned that Pardo carried the AIDS virus. At around this time, she tried to report Pardo to the inter-diocesan ecclesiastical court located in Buenos Aires, next to the headquarters of the Buenos Aires archdiocese. According to Varela, she was kicked out of the waiting room by a monsignor, the court's president, who told her to report Pardo to her diocese instead. A priest in the waiting room offered to bring her to Cardinal Bergoglio, whose office was in an adjacent building, the Curia Metropolitana. Varela went next door and requested a meeting, but because she did not want to tell the receptionists the specific reason she needed to speak with the cardinal, they would not convey her message to him. Security was called, and she was escorted from the premises. Varela filed a criminal complaint on 2/7/2003. On 2/27/2003, the prosecutor, Pablo Pérez Marcote, asked the diocese ‘urgently’ to tell them Pardo’s whereabouts. The diocese was evasive, saying that Pardo had left the diocese and that no other destination had been assigned. 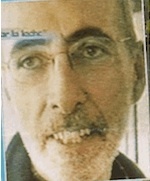 In September 2003, Pardo was discovered living in the Flores neighborhood of the city of Buenos Aires. According to a Página/12 article, he was residing at Condarco 581, which was both a vicarage of the Archdiocese of Buenos Aires and a home for infirm and retired Buenos Aires priests. The archdiocese was then headed by Bergoglio. Pardo reportedly was hearing children’s confessions and teaching at a primary school in the Flores neighborhood. 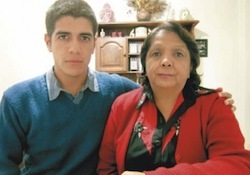 In 2003, the victim and his mother sued the Quilmes diocese for cover-up. In May 2004, a month after the Pardo case was exposed on national television, Varela and Gabriel Ferrini were summoned to the inter-diocesan ecclesiastical court, in the city of Buenos Aires. According to Varela, the four priests on the panel asked “lascivious” questions that had nothing to do with Pardo’s criminal act. Bergoglio was Moderator of the tribunal but was not present at Varela’s hearing. On 6/10/2005, Pardo died of AIDS, ending the criminal case against him. In October 2012, a Quilmes court ruled that the diocese was culpably negligent in its management of Pardo and ordered it to pay restitution to Gabriel Ferrini and Beatriz Varela. The diocese appealed, arguing : 1) that Pardo was an employee not of the diocese but of an autonomous parish; and 2) that Varela was partly responsible because she had allowed her son to spend the night at the priest’s residence. In April 2013, the Quilmes appeals court rejected both arguments and upheld the ruling of the first court. The diocese was ordered to pay the plaintiffs compensatory damages of 155,000 pesos plus ten years’ interest. It is the first civil judgment against an Argentine diocese for mismanaging a sexual predator.